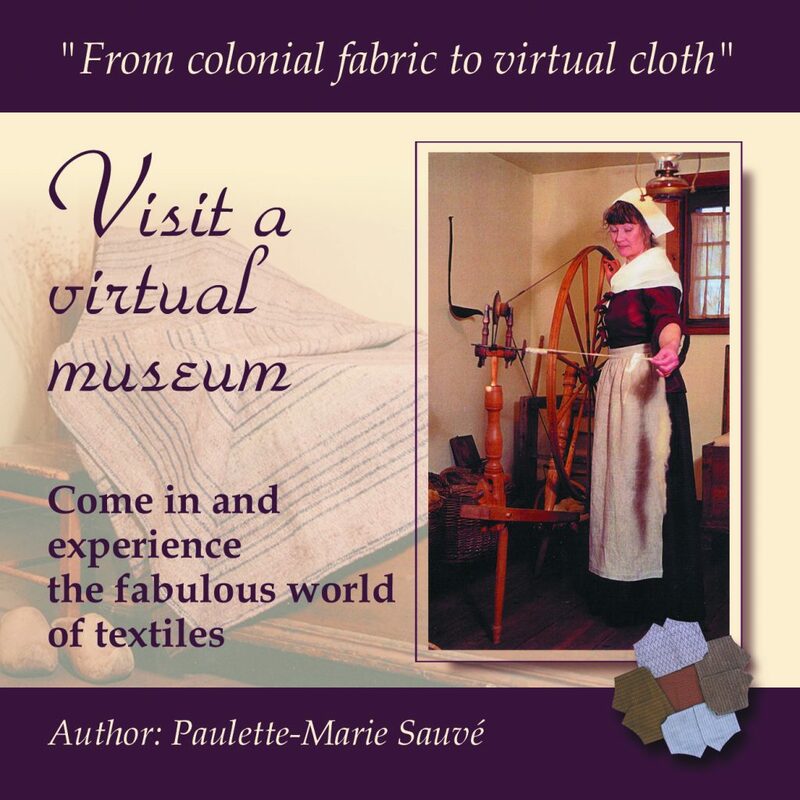 Biography - Paulette Marie Sauve fine art, mixed media paintings, and weaves tapestry. Sauve obtained her Master of Fine Arts degree in 1992, at the Université du Quebec. The MFA course included studies in northern Italy. She studied visual arts in 1974 at the Institut des Arts Appliqués in Montreal, Quebec. Later, she was awarded a government grant to travel to France where she discovered ancient dyes, and tapestry, notably at the Manufacture des Gobelins. This inspired her to write two books about the art of creating with natural dyes and fibers. In 1978, 1979 and 1984 her work was shown at the Museum of Contemporary Art of Montreal. She exhibits her work and gives seminars, lectures and workshops in several countries. She creates commissioned paintings, and her work is found in private and corporate collections. Grants and awards: in 2002, she received Her Majesty Queen Elizabeth II 50th Golden Jubilee Medal awarded by The Governor General of Canada. – grants from the Canada Arts Council, and from the Quebec Minister of Cultural Affairs. “The Toronto Dominion Centre is made up of six buildings in the financial core of Toronto. The architect of the buildings was Mies Van der Rohe. 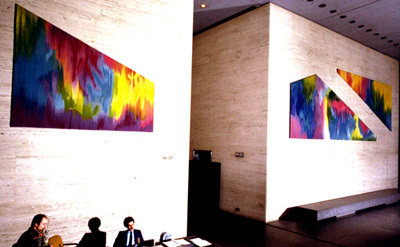 Within and around the buildings are a variety of artworks all by Canadian artists. 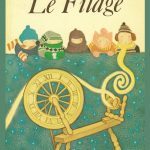 Shelagh Rogers asked Paulette to explain her work of weaving tapestry from wool that came from her husband’s sheep, and then spinning wool and also growing linen and ancient dye plants. “In 2005, I attended the 35th anniversary of Shenkar College of Engineering and Design in Ramat-Gan, Israel. I was representing Domestic Converters Inc., the Montreal textile company created by Joshua Ronn. At Shenkar College, I was invited to give a lecture about my work in textile art, and, was given a tour of the school. “Tal Bagels”. In my painting, one can see the Hebrew words “Tal Bagels” on the sign of the cafe. Contemporary art tapestry techniques involve a series of very long processes. Many people ask me how I weave tapestries. It helps to understand all that is involved in turning a painting, first into areas of weave patterns, then into woven cloth or tapestry. The weave pattern for Gobelins style tapestry is different than the process used for a multi-shaft loom, a Dobby loom or a Jacquard loom. Cadillac Fairview, Toronto, Canada; Musée d’art et artisans de Saint-Laurent, Montreal; Teleglobe Canada; Le Ministère des Travaux Publics du Québec; The Avmor Collection, Montreal; Le Ministère des Affaires Sociales du Québec; Galerie Samuel Lallouz,Montreal; COPAFO, Burkina Faso, West Africa; Le Musée des Baleiniers basques, Red Bay, Labrador, Canada. 2005 – The Art Guide, 2005, The Monthly Review of Exhibitions at Galleries and Museums in New England. 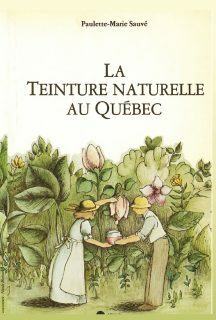 Montréal : Éditions de l’Homme, c1975 -c1985. Other media events: several radio interviews and television appearances, numerous newspaper and magazine articles, mentioned on various Web sites since 1997. 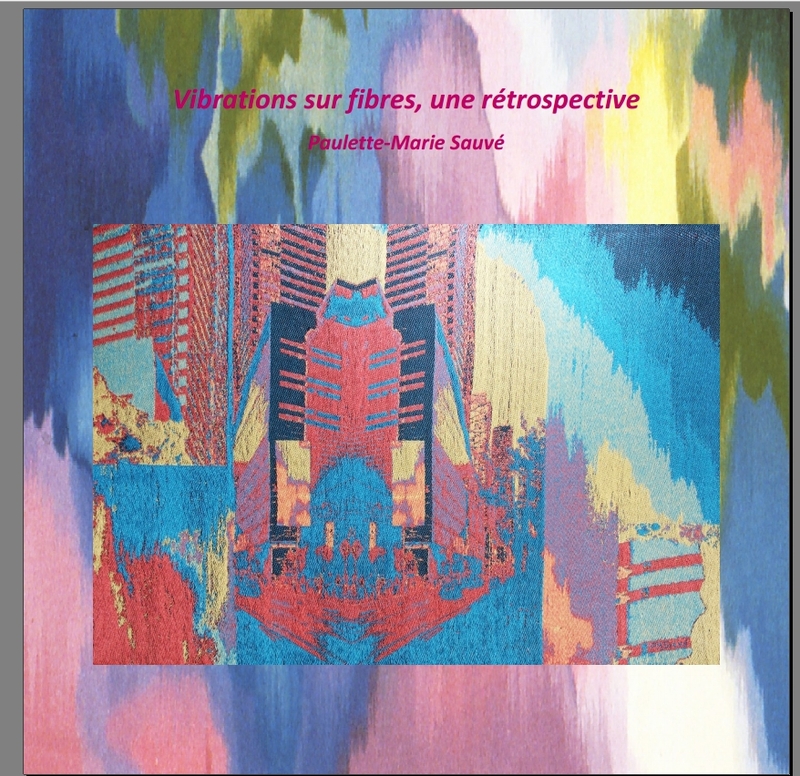 Paulette Marie Sauve gives workshops in visual art and has organized several exhibitions and cultural events. 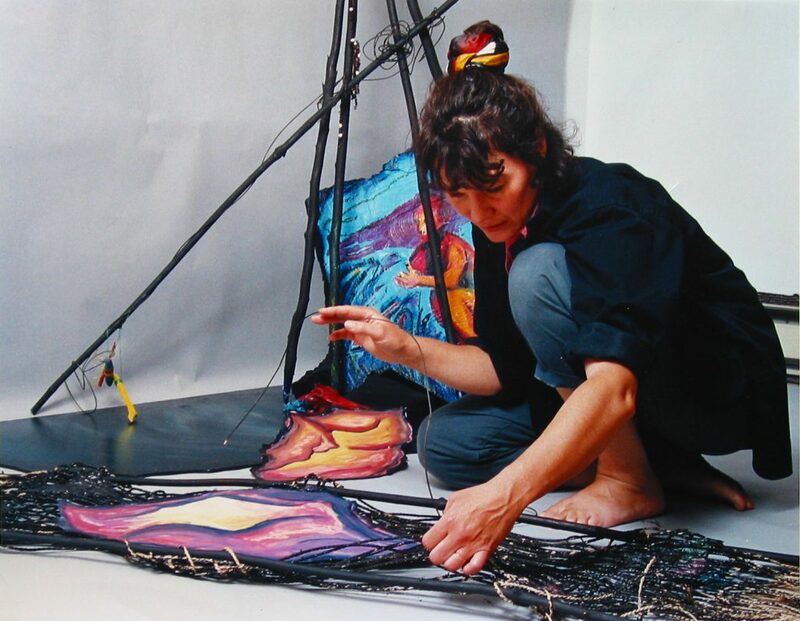 Her studio activities include, painting in oil and mixed media, weaving tapestry, writing articles and books. 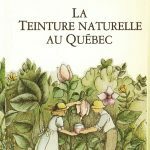 Paulette has published two books in French: “La Teinture Naturelle”, and, “Le Filage”, as well as two CD-ROMs about the history of textile art in New England and New France. She is a trained volunteer tutor for English Literacy, and a member of the South Shore Reading Council. From 1973 to 1975, I studied Visual Arts at the Institut des Arts Appliques in Montreal. I created paintings, woven fabric and tapestries, and learned to spin many types of fibres. In 1974, the Government of Quebec sponsored a one month visit of weaving and tapestry studios in France. Our group of about 20 students met with several weavers, some of whom exhibited at the Tapestry Biennale in Lausanne, Switzerland. One of the most impressive meetings was with Jean Dufour, head of the Gobelins Tapestry Dyes department. 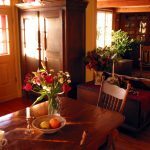 He brought us through the 15th century old Savonnerie section of the building, filled with different colored skeins of wool in old stone dye-baths, and hanging from the wooden ceiling beams to dry. 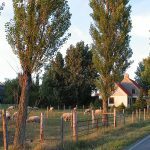 On my return home, my husband brought me to see a country home with a big barn on a farm that he was looking at on the south shore of Montreal. He knew that I needed a studio with a high ceiling to be able to install a huge Gobelins style tapestry loom. Claude and I had met in college in Montreal where he was born. We both wanted to leave the city and live in the country. 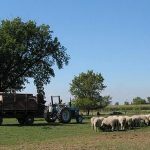 We moved onto a farm near Montreal. We were married a year later. We purchased a few sheep, goats, rabbits, chickens, ducks and the barn was filled to capacity with animals. So I found another abandoned barn nearby, renovated it, and moved in with my painting and weaving equipement. 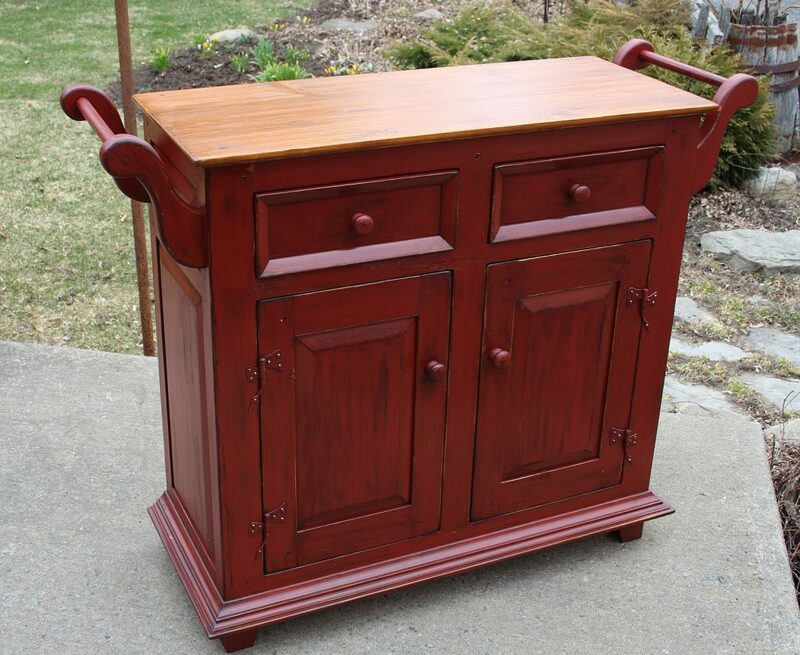 He also made antique furniture for our house, the photo below shows his bath towel cupboard built in 2016. In 1976, I studied industrial textile weaving at the Institute of Textile Technology in Saint-Hyacinthe, Quebec. 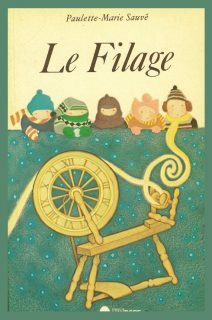 “Le Filage”, about spinning all types of fibres.